I have often been asked this question: “If you were to recommend just one initiative or solution to the different environmental problems, what will it be?” After a three-year academic study in environmental science, I’ve come to realize that environmental problems are so diverse and multifarious that conceptualizing a single cure-all solution will practically be like formulating a single pill (a “wonder drug”) that could cure all conceivable medical problems of man. It’s a tough call but there should be one. I would always answer, often automatically, “reforestation”. 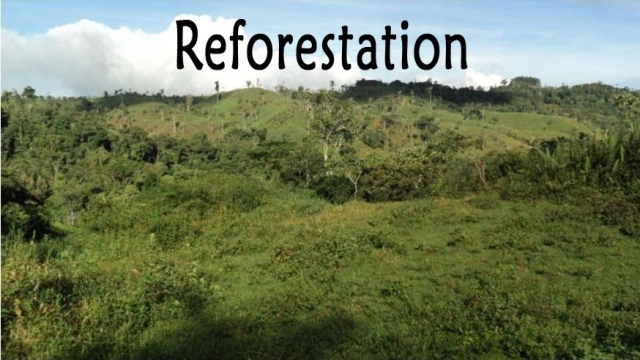 A honest-to-goodness reforestation program, however, will never work as long as the illegal harvesting of timber and other forest resources remains unchecked. At present, there are sufficient laws that protect forests… it is, however, in the aspect of enforcement that epic failures happen. The continued illegal harvesting of forest resources will render useless any effort at reforestation.